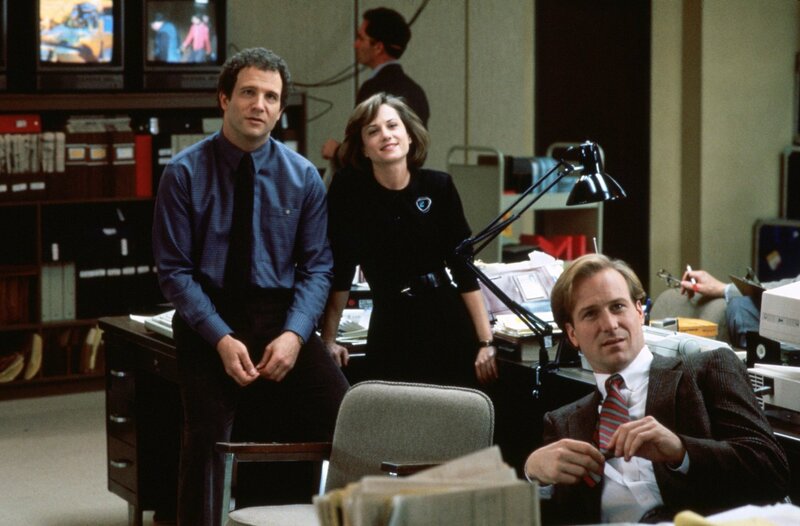 Broadcast News was another movie that I saw at summer camp and loved. Even though it was about adults doing broadcast journalism (something I never had an interest in), I thought it was really relatable. And seeing it again, I still think that’s true but I also realized how sad it kind of is. But what I think makes it great is that the characters are pretty multi-dimensional; no one is ever just awful or amazing, especially Holly Hunter. And Holly Hunter is just great anyway. I really related to her character the first time I saw it, which would have been the summer after 9th grade. I still feel like I’m similar to her now, but without the massive sadness and anxiety her character carries, although that was definitely present for me in high school. I also really love the scene where Aaron (Albert Brooks) reads the news for the first time live on air. It’s sort of painful to watch, because you want him to succeed, but it’s still pretty funny while being very tragic. I had never heard of this movie before and when I mentioned that when I came across it at the library Elizabeth made me sound insane. SO based off of her reaction I really had to watch it! I definitely liked it more than I thought I was going to. But I’m a big William Hurt/Holly Hunter fan and it was a nice surprise to have a somewhat cameo by Jack Nicholson. This movie is very interesting and clever and Holly Hunter is super cute and funny in it. [Editor’s note: Chris kept saying “Helen Hunt” instead of “Holly Hunter” throughout his post, further evidence of his Helen Hunt crush] What I liked the most was how realistic the ending was. Not everything is going to work out the way you want it to and not everyone stays in one city/state for their whole life (something I can’t imagine not doing).